I like to consider myself a fairly adventurous person. I love heights (and jumping from heights). I will eat pretty much anything. I enjoy road trips, climbing, hiking, and camping. I grew up exploring a wide variety of water sports from tubing to knee boarding to wake boarding. But for some reason I’ve always been a little bit frightened of the ocean. Even though I live on the beach and could spend all day every day looking at the blue waves crashing on the seashore, I’m still a bit hesitant to merge my land loving life with what lies under the sea. I think it has to do with all of the deadly sea creatures just waiting to sting, bite, and dismember me. But, fortunately, I know that this fear is mostly irrational (but not entirely – shark attacks happen people!) and I have taken the plunge in many beautiful spots around the world… most notably snorkeling in the Red Sea and the South China Sea. 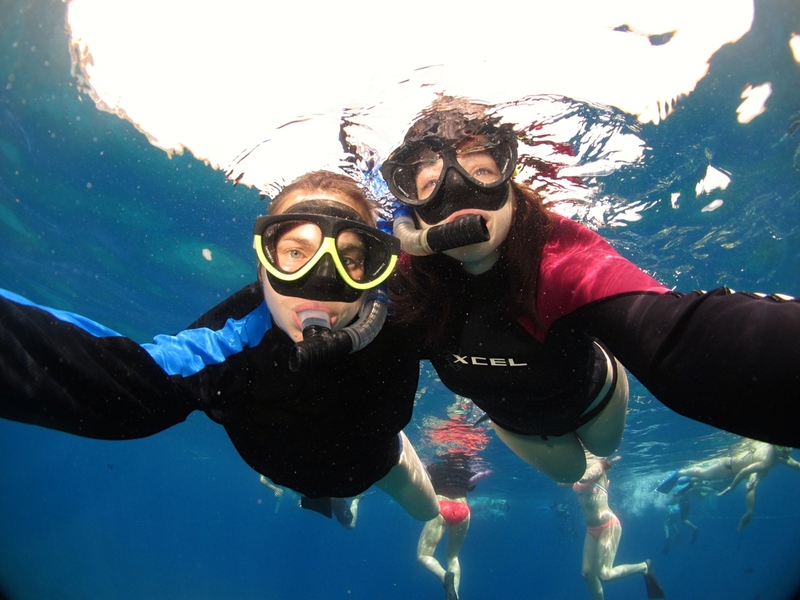 And if truth be told, I’ve always enjoyed snorkeling. 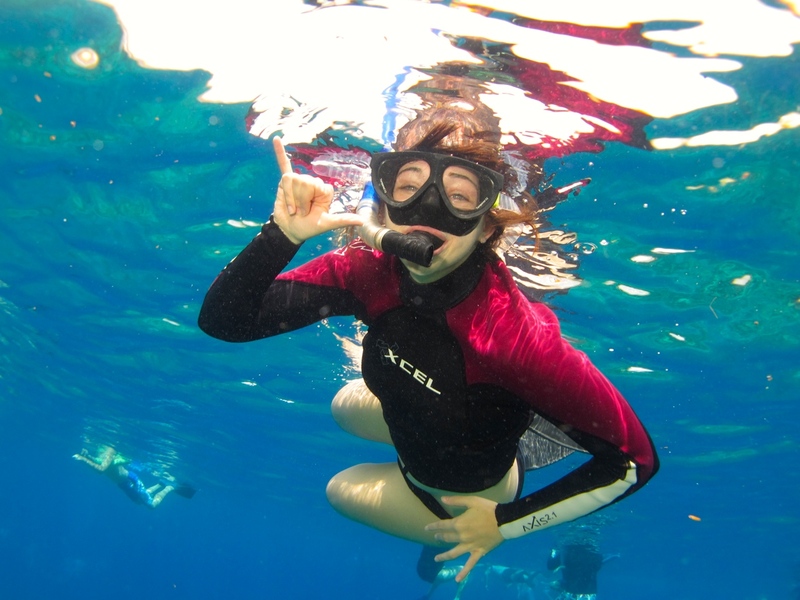 So on my recent trip to Maui I decided to join my aquaphile bestie on yet another snorkel trip. I knew it would be fun but I certainly didn’t expect it to be the highlight of my trip! We started off the day at Maalaea harbor where we boarded the Pride of Maui and took our seats for a one hour sail to the first stop. We knew we were in for an excellent day when the crew was already serving my favourite Kona coffee at registration. We filled up on delicious Maui pineapple at the breakfast buffet and braced ourselves for what was shaping up to be a fabulous day! 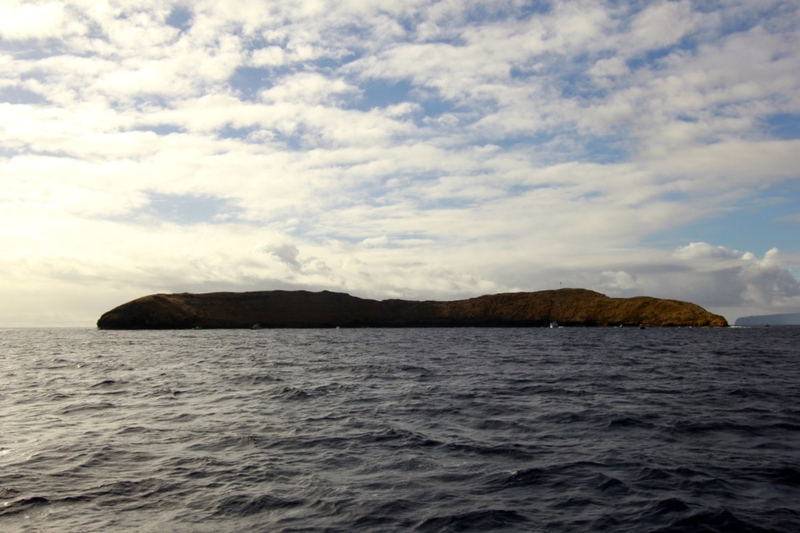 Our first stop was the beautiful Molokini crater, which offers exceptionally clear water with visibility reliably in excess of 150 feet. The healthy coral reef is sheltered in the arms of the crater creating an amazing underwater sanctuary. And to Katie’s delight… a bird sanctuary above. Her major dilemma of the day was how to manage her face time… in the water vs. looking up at the sky. Molokini snorkeling is truly a unique experience, as there are only 3 volcanic calderas including Molokini in the entire world! We swam for about an hour enjoying the calm currents and thousands of fish. My fears were completely forgotten as I eagerly asked Katie to identify all of the brightly coloured fish I was seeing. It turns out that it is pretty handy having a science/marine/animal expert for a travel buddy. Back on board we set sail again for our second stop of the day – Turtle Town. While we enjoyed a delicious BBQ lunch we spotted North Pacific Humpback whales in the distance. This was a thrilling surprise as whale season was just wrapping up and we weren’t expecting to see any on our trip. 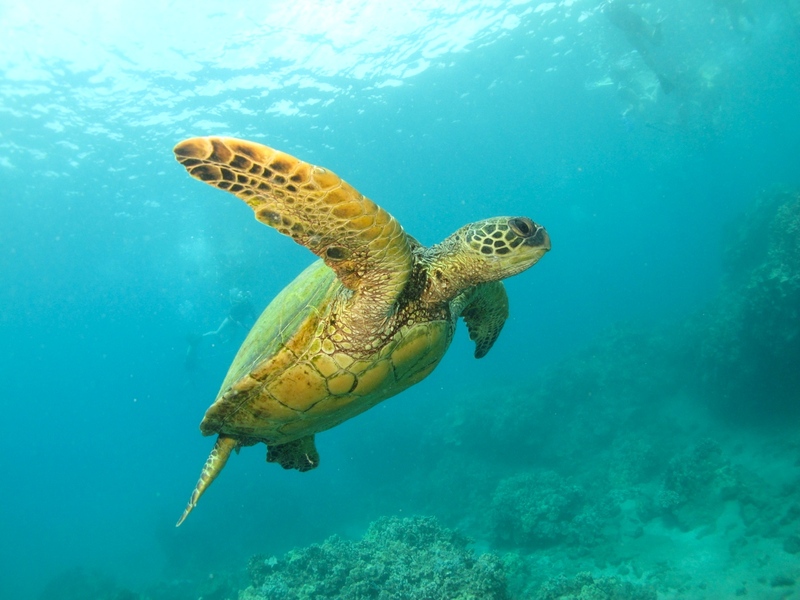 We eventually settled just off the Southern coast of Maui near Nahuna point where we hoped to be able to swim with the Hawaiian Green Sea Turtles. This area is home for the protected sea turtles who were soon bombarded with snorkelers ignoring the rules to stay 10 feet away and not swim overtop of the surface breathing reptiles. I got a bit frustrated by the crowds so I swam off on my own and quickly found my own personal turtle to observe for over 20 minutes. 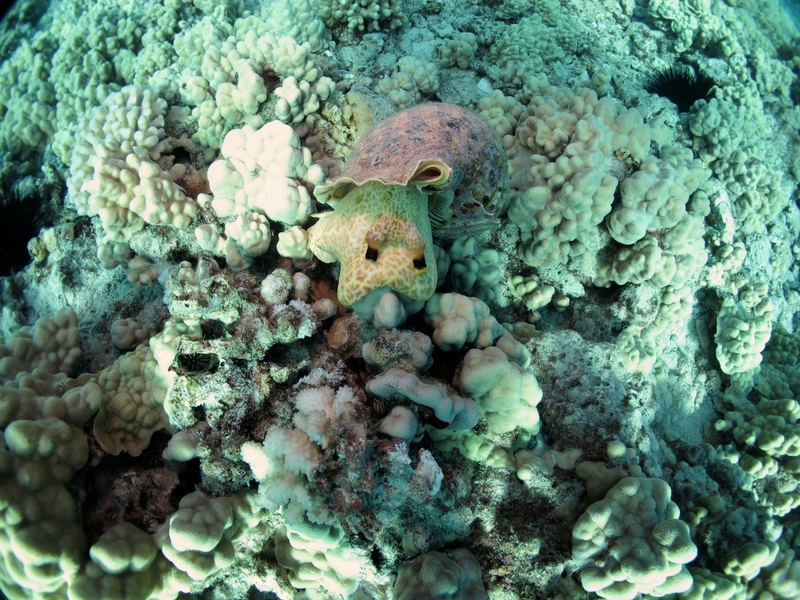 I swam alongside as my new little friend surfaced and dove down to the volcanic coral. I feel so privileged to have experienced that moment. 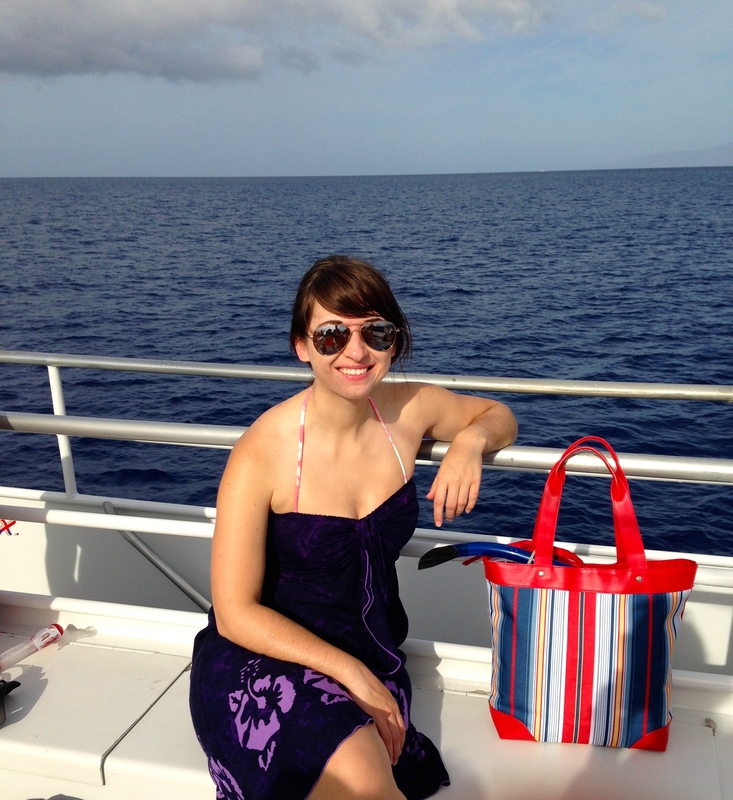 I was beyond elated when I climbed back aboard the Pride of Maui for an early happy hour at the open bar. Katie and I raised our Mai Tai’s in the air to celebrate a truly wonderful morning that we won’t soon forget. 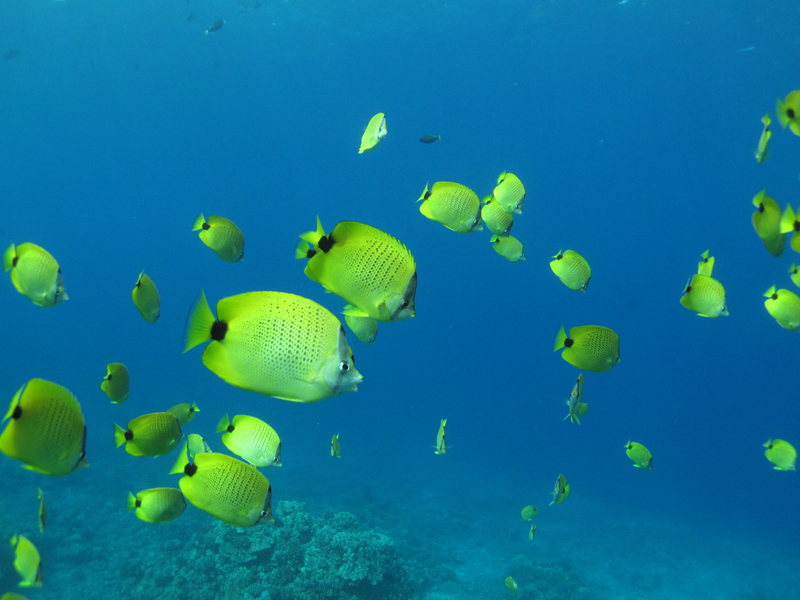 This entry was posted in Hawaii, North America, USA and tagged Fish, Hawaii, Maui, Molokini Crater, Ocean, Pride of Maui, snorkel, Turtle, Wailea. Bookmark the permalink. Hi Kaylyn! 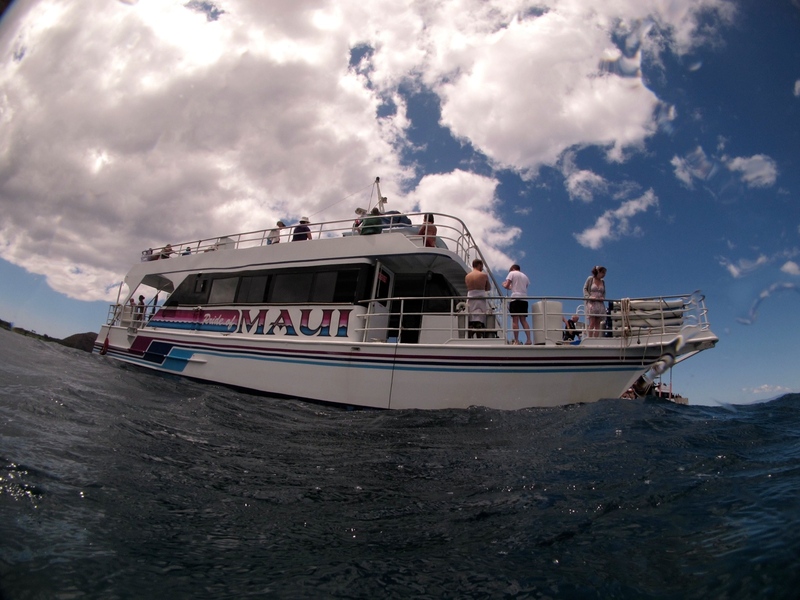 I definitely recommend The Pride of Maui – the staff were super fun and they were so well organized. I love efficiency! 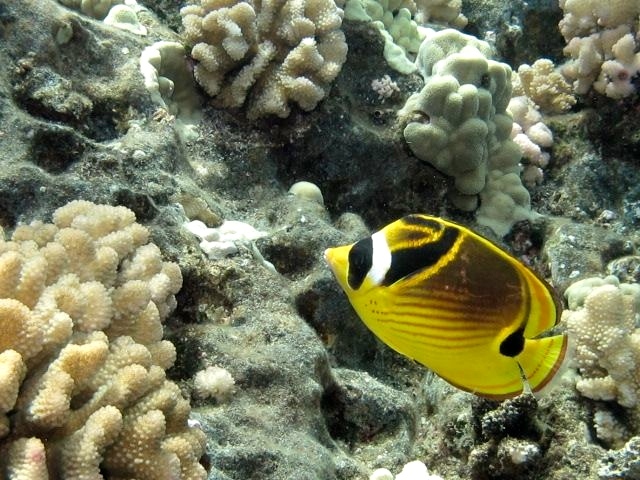 This was my first snorkel trip in Maui but I also loved snorkeling in Ras Mohammed National Park in the Red Sea. It was soooo easy to float in all that salt water!